Our signature foundation for styling & finishing. Special savings, great gifts and travel sizes. Give fine-medium hair an all over boost. Help extend the life of your colour. Replenishing nutrients to deeply hydrate. Roughed-up glam to tousled tresses. A solution for every curl. Get the shiny, smooth hair you’ve always wanted. The original foundation for hairstyling, Moroccanoil Treatment can be used three ways: on wet hair as a nourishing style foundation and on dry hair as a finisher or next-day refresher. A good cleansing routine is essential for healthy-looking hair, long-lasting colour and manageability. 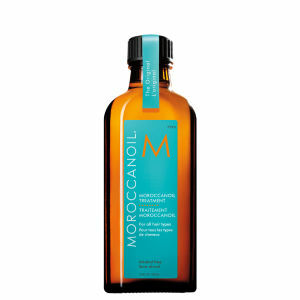 Moroccanoils argan-oil infused formulas, leave the hair naturally smooth, shiny and healthy-looking with improved condition after each use. 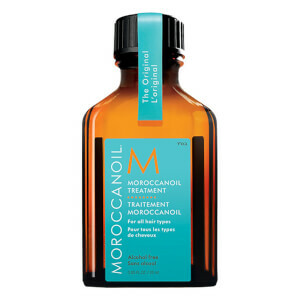 Moroccanoil’s luxurious high-performance masks are effective and simple to use, working in under 7 minutes. Whether you need protein or moisture, Moroccanoil has a mask for you. Whether your looking for volume, texture, control, hold or shine, Moroccanoil’s versilte styling collection has something for every style need. The story begins with Carmen Tal, the co-founder of the brand who had a hair colour disaster while she was on holiday, which was resolved through the use of luxurious hair oils later that day. 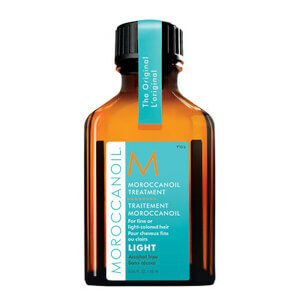 Undeterred by the taboo of using hair oil at the time, she set out to create a unique range of treatments infused with argan oil, antioxidants and nutrients for consistently great results. She later developed a collection, that boasts a beautiful selection of shampoos, treatments, oils and styling tools. Carmen Tal believes that their products should be easy to use and effective. So try it for yourself and revolutionise the way you care for your hair, joining many celebrities, catwalk models, stylists and women of all ages along the way, in achieving beautiful, healthy hair.